On September 16, 2007, machine gun fire erupted in Baghdad's Nisour Square, leaving seventeen Iraqi civilians dead, among them women and children. The shooting spree, labeled "Baghdad's Bloody Sunday," was neither the work of Iraqi insurgents nor US soldiers. The shooters were private forces working for a mercenary company: Blackwater USA, the world's most secretive, powerful, and fastest growing private army. A largely untold facet of the war on terror is the widespread outsourcing of military tasks to these mercenary companies. Accountable neither to the citizenry nor to standard military legal codes, these largely unregulated corporate armies are being entrusted with ever-greater responsibilities on behalf of the nation. Founded by fundamentalist Christian megamillionaire Erik Prince, the scion of a conservative dynasty that bankrolls extreme right-wing causes, this particular company of soldiers is now being sent "to the front lines of a global battle, waged largely on Muslim lands, that an evangelical President whom Prince helped put in the White House has boldly defined as a 'crusade.'" 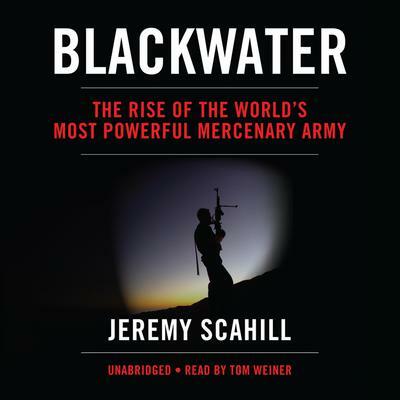 Ranging their roots in Moyock, North Carolina, to the bloodied streets of Iraq, to hurricane-ravaged New Orleans, to the chambers of power in Washington, DC-where they are hailed as heroes-this is the dark story of Blackwater's rise to power.